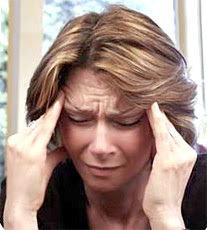 Can not eating sugar after having consumed loads and loads of it on a daily basis give you a migraine? this detox things is proving harder than expected. I am seriously contemplating making myself one of these just to see if the sugar overload will take the edge off of this horrible headache. This is a brown cow (AKA chocolate heaven float style). they are soooooooooooooooooooooooooooooooo good. yep, the headaches are from lack of sugar consumption. Be strong though, I know you can do this! You can do it Deb! I'm feeling inspired...maybe I'll give it a try too! Deb fight the urge your almost half way!! maybe we should do a craft to get your mind off it!! Deb I just don't do dieting... life is too short have your float :)- whoops i just read all the encouraging posts- oh well! this is how i feel! !